While browsing the internet for some cool teen bedroom ideas and designs, we started to think about what teens love and how they see their bedroom from their eyes. Let’s not forget that a teenager sees the world in a much different way from us adults, and from his or her perspective, a bedroom is much more than just a place to sleep. Teens use their bedrooms as a place to feel comfortable and escape the problems of the world if needed, it’s their kingdom. 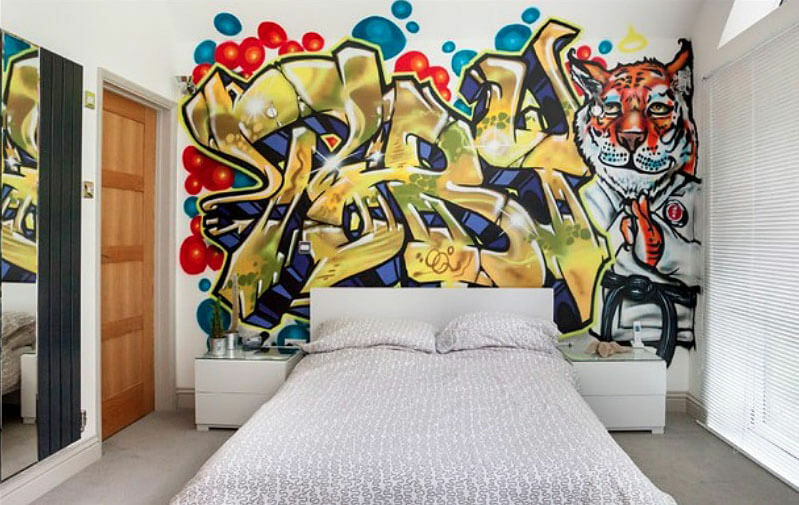 The bedroom of a teen is where he can really shine, from getting his most creative work done to just chill with some friends, this room is very important for kids. They can have all their favorite things in the room without anyone judging them or telling them no and really just let their imagination run wild. 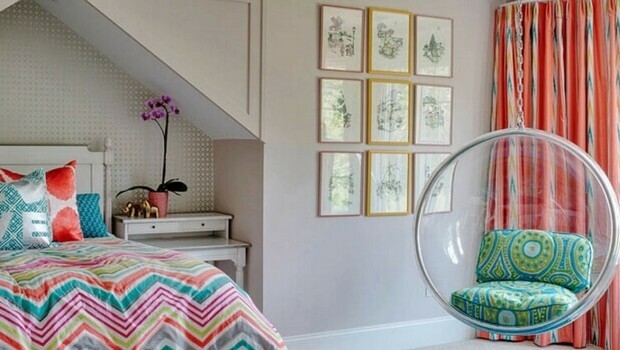 If you’re in the process of designing a bedroom for your kid, or you’re a teen yourself looking for that cool bedroom design to level up your room, keep reading. Teens today are much more sophisticated than you think, with smartphones everywhere and the internet, they are very design focused and know the latest trends and what’s hot and what’s not, but on the other hand, they might still want to hold on to their childhood, so the dilemma is clear. Should I give up my toys and transform my room into my mini palace where everything is stylish and up to date? Or should I keep playing for a little longer and risk not getting with the times? These are some of the thoughts kids have while thinking about their bedroom. This is where the parents can bring their 2 cents in and help with their experience and knowledge. 1. 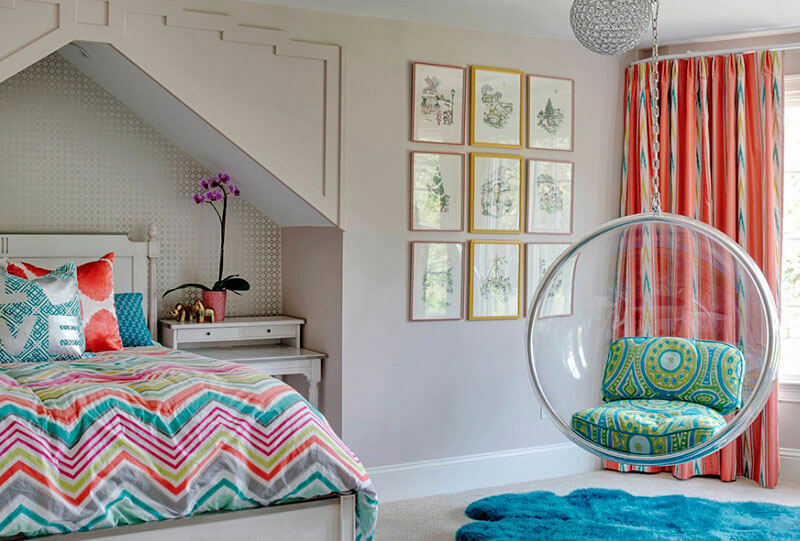 This is a fun bedroom design with a hanging bubble chair and a cool rug. Perfect for spending time with friends and relaxing. This is obviously for teens who put most emphasis on their sleep, hang the bed from the ceiling for the perfect sleeping experience. 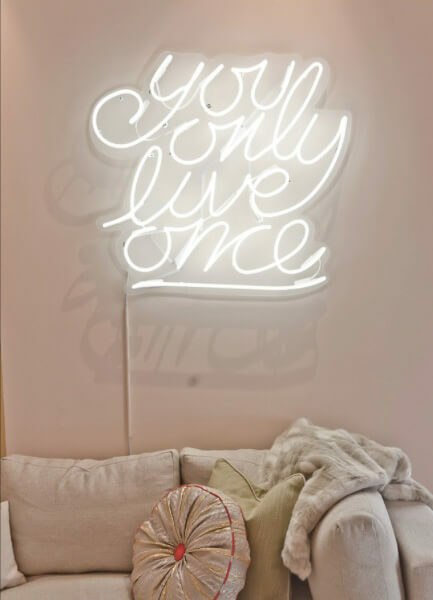 Why not place a cool neon lights on the wall? 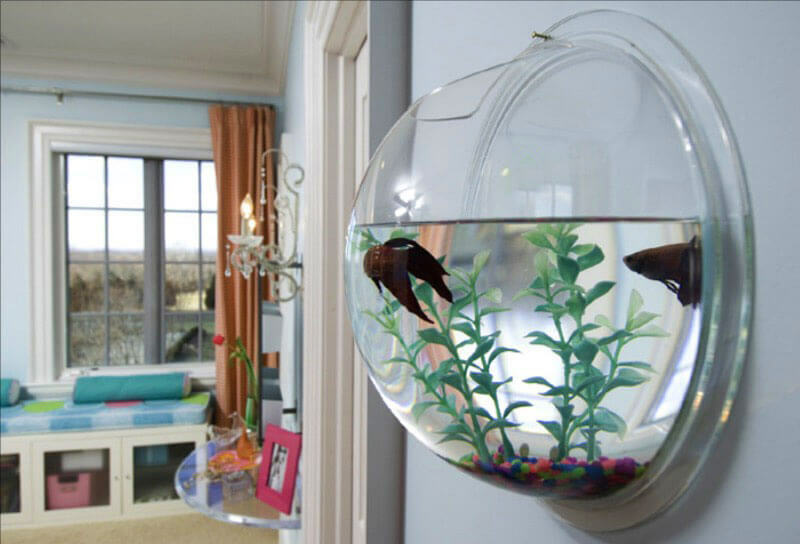 This cool idea will turn your bedroom into the coolest place to be. You Only Live Once right? This room just takes a little bit from everyone, for those who like to mess things around. 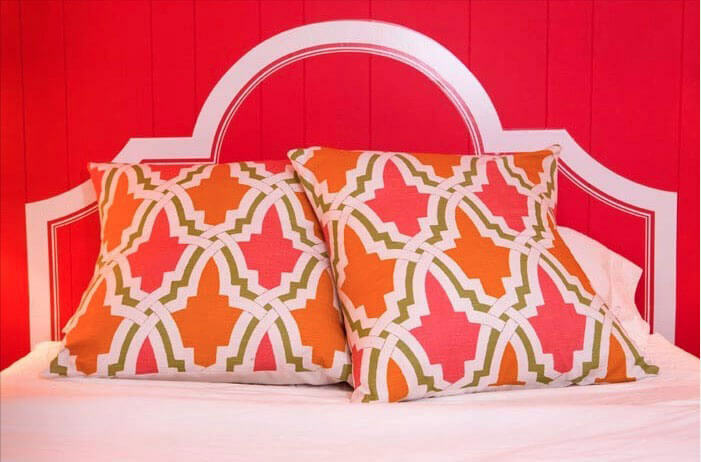 The updated version of beads, circle your bed with this fringe curtain and turn your teen bedroom into a stylish spot. Simple, but very unique item to place in your bedroom to add something unique non of your friends have. 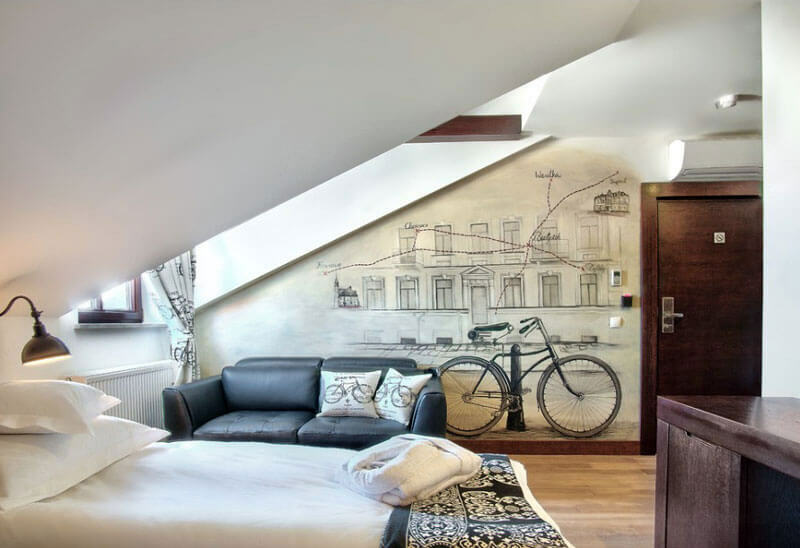 I love this idea, it’s very cool to be able to doodle on your wall and just change it as the mood strikes. 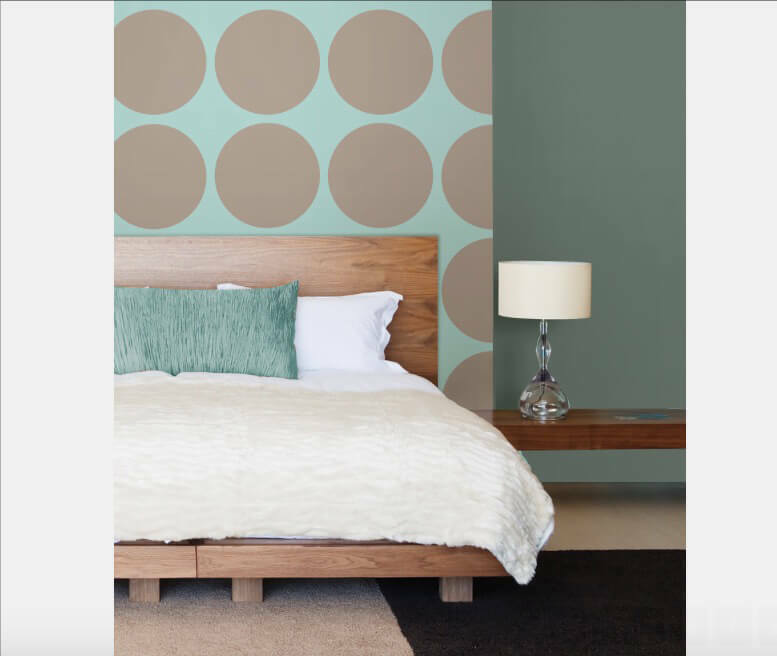 Easy to apply and remove wall decals gives you the opportunity to design the bedroom wall as you see fit, that kind of flexibility is worth having. 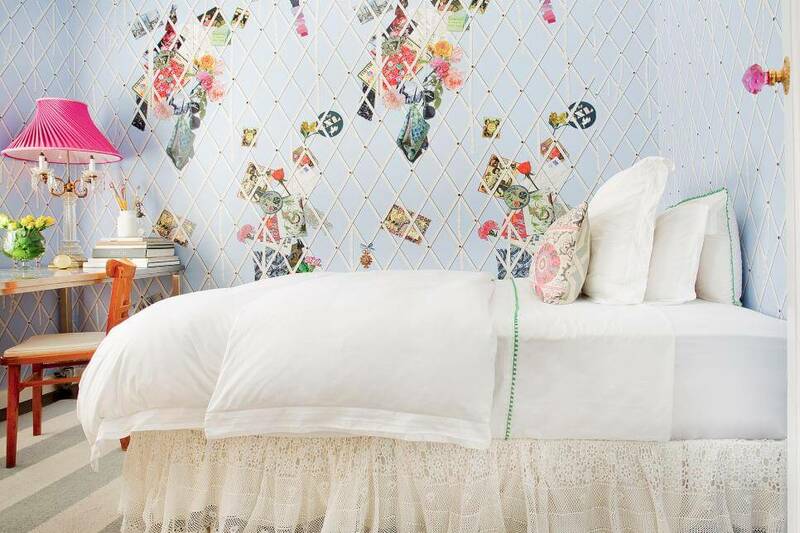 When you don’t have a lot of room, just remove the head board of the bed and place it on the wall, in a decal form. Pretty neat right? I love this idea! 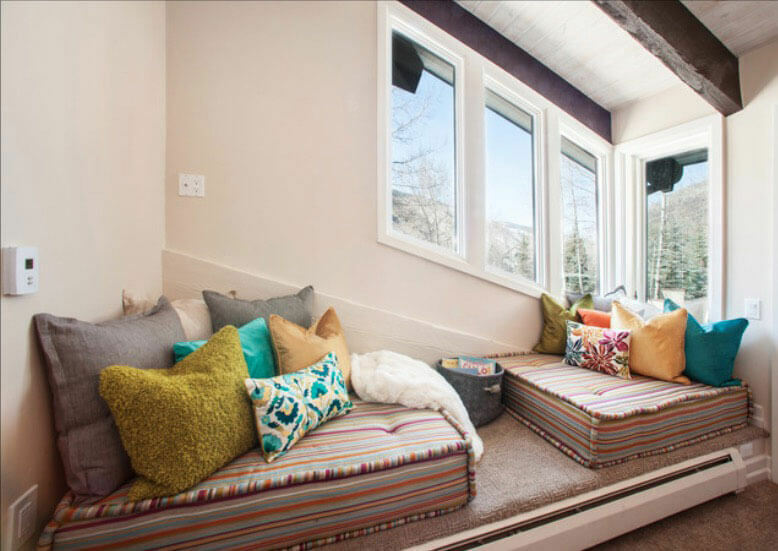 Just throw some floor pillows on the carpet and have a great space to hang with your friends. When thinking about teenage bedrooms – this design is top of mind, because it has a designed place for anything. You have your couch for resting, your homework desk and the bed for sleeping, perfect. 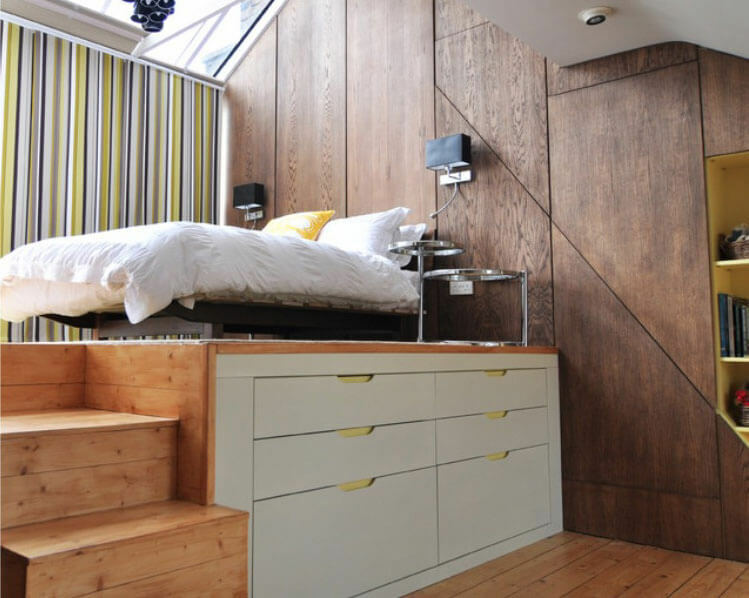 This is a unique bedroom idea, if you’re short on space, build your bed high enough so you can create a storage unit under it. Simple idea that just works. 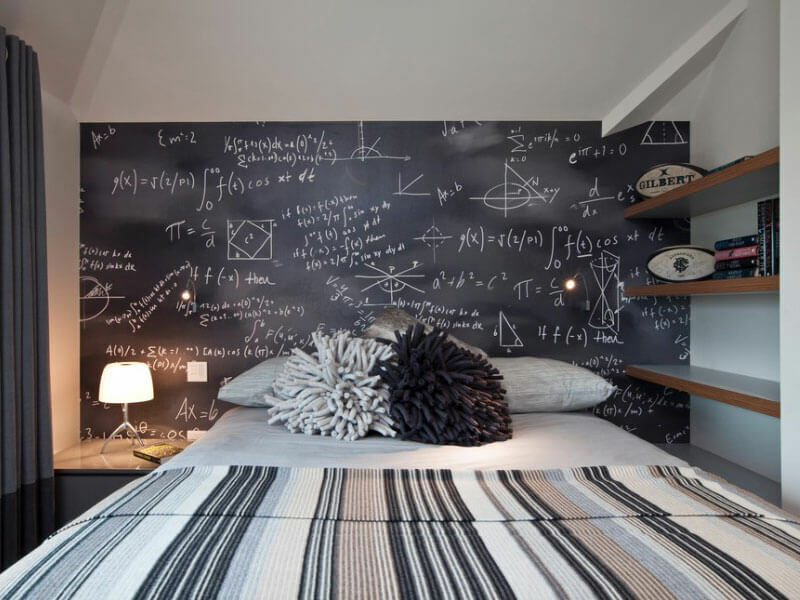 This teen room has some nice decorating ideas, the wall design is flawless, there’s a place to study and sleep. This one is for the musicians to be, a cool vintage look and feel, with a place to practice those awesome riffs that one day will rule the radio waves. 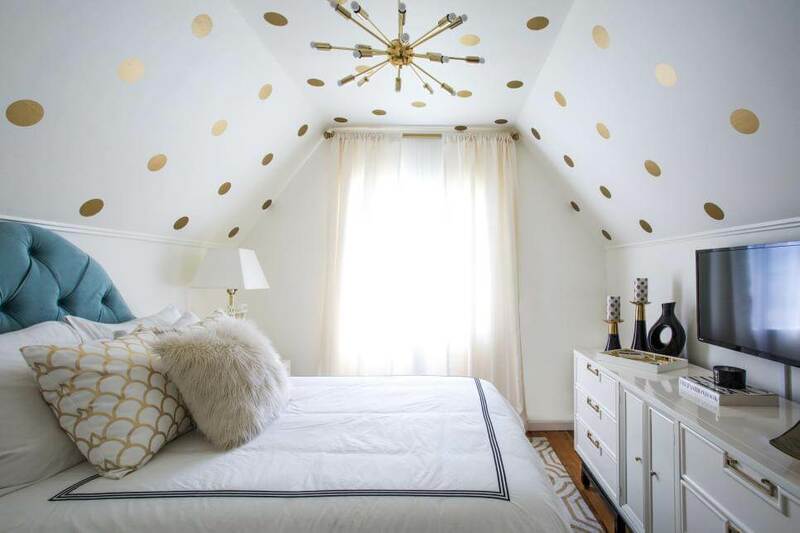 This is a very modern and delicate look, the wall decals are shaped like polka dots and the color of the wall is slightly different from the back wall, giving it a nice feel. Wanna take a huge picture of something you really love and put it on your bedroom wall? 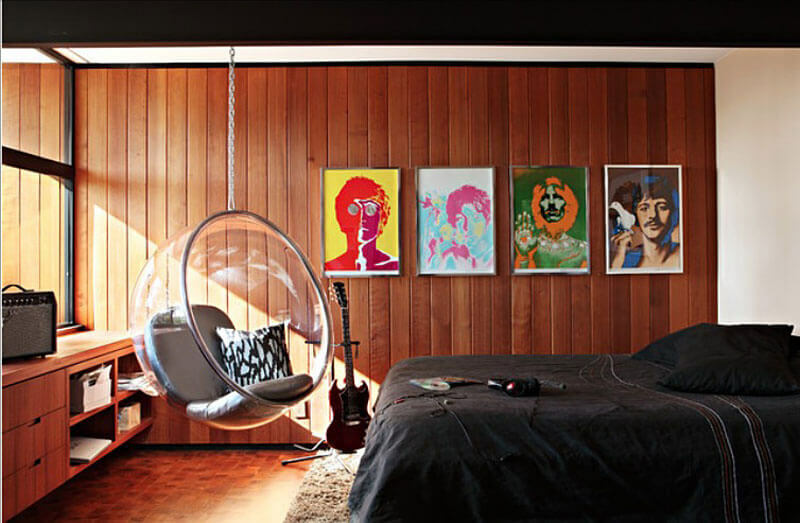 Easy, just take it to a custom printer and your bedroom will look cool as it gets. A round bed in your teen bedroom is a statement. There aren’t any squares here people, just cool cats who know their stuff. For the kids and teens who love sports, blow up a picture in a custom print shop and add this cool look to your bedroom. 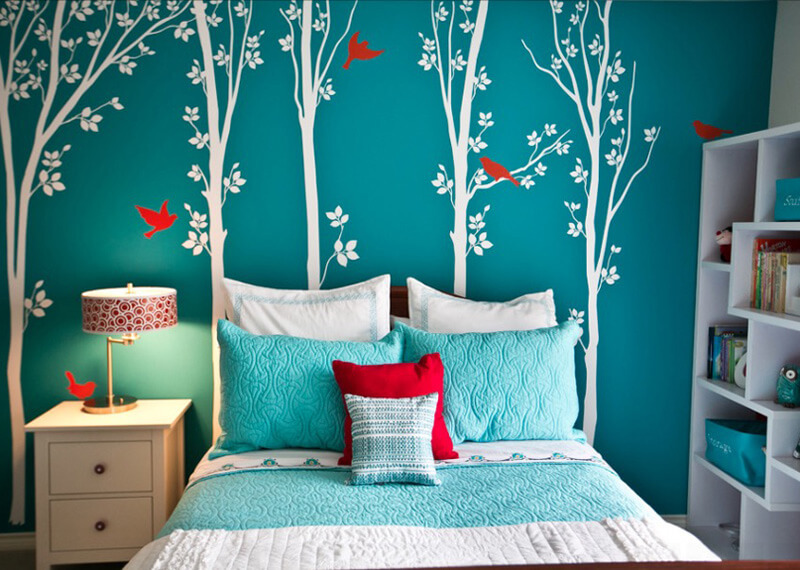 Do you want your teen room design to be all about memories? Just place these holders on the walls and place your favorite images in between, every night before you fall asleep, dive in memory lane. 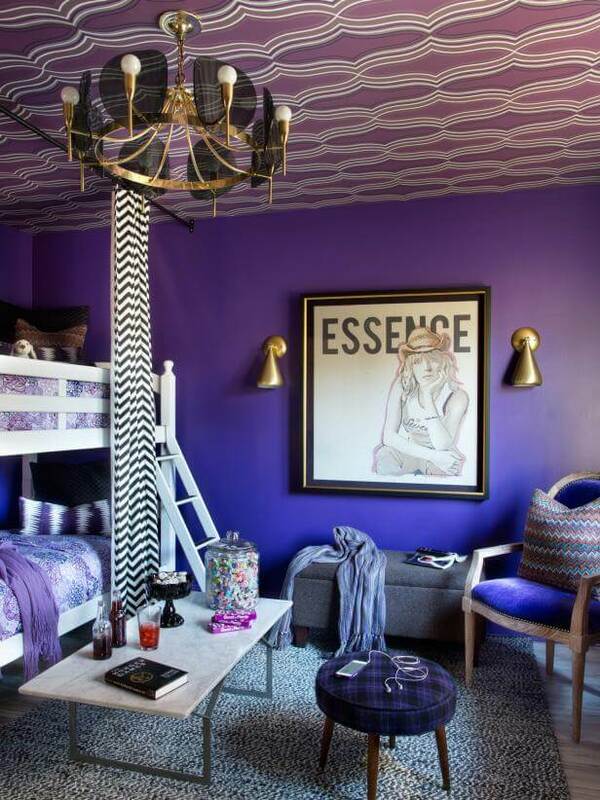 This is for the chic girls or boys who are not afraid to get creative with their teen bedroom idea. Just let your imagination go and ask no one.